In China, the term "Kung-Fu" comes to be identified as the martial arts according to Chinese tradition and proficiency in a martial technique required at least ten years of devoted practice. 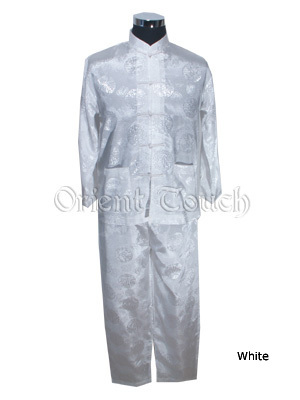 This unique Kung-Fu suit features Chinese traditional longevous "Shou" icons. Wear it as sports suit or pajamas, the choice is up to you!